Earlier this week, we explained how regional taxpayers would pay more in cancellation than finishing construction, and how LRT operation will be more affordable than buses as we grow. This time, we’re going to talk a little more about why Waterloo Region is building LRT to begin with, and how backing out now will bring yet another hit to your taxes. Waterloo Region is growing fast, projected to reach 742,000 people by 2031. Today, the majority of people travel by car, and that will certainly still be true 17 years from now. The question we must ask is how can we encourage as many residents (new and old) to take transit, so that we can limit the strain on our road network from everyone driving? There are two ways to do this: encourage the growth of denser, compact, walkable neighbourhoods and cores, and provide attractive, reliable, fast transit. ION contributes in both ways. But what does this have to do with your taxes? With the growth that’s coming, we’re going to need more, and wider, roads. A lot of money for this will have to come directly from property tax. 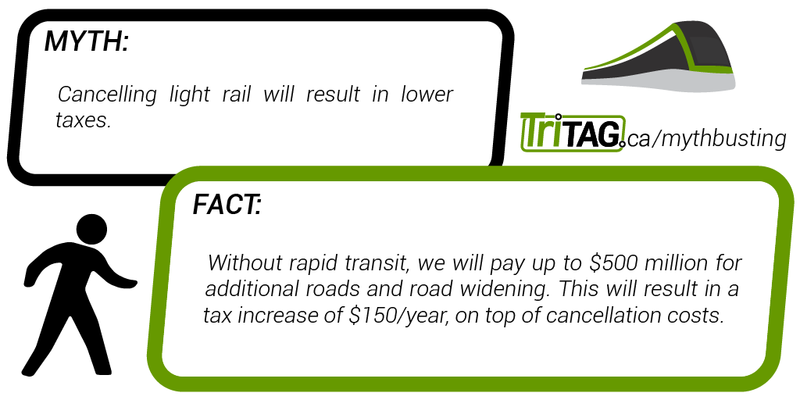 Building rapid transit will decide whether we pay $1.0 billion, or $1.4-1.5 billion, a difference of up to $500 million. 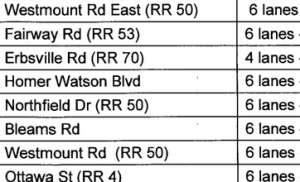 Just a few of the affected roads if we let traffic continue to grow. Click through to see more. This difference would cost the average household an additional $150 per year in taxes. That’s on top of the tax hike coming from cancelling LRT after paying for it, of course. Furthermore, we’d need to widen roads through mature neighbourhoods, paving front yards along streets like Westmount or Courtland. By investing in rapid transit now, we can draw people out of cars and even more importantly encourage the continuing focus of new development in our cores, where a growing number of residents and workers will take advantage of new mobility options, and everyone’s journey will be a little bit smoother. We also protect mature neighbourhoods and valuable farmland alike. Or, we could throw it all away. Make sure you know what you’re in for. Click here to read about Myth #4: $1.6 billion (or 41.6 billion?) 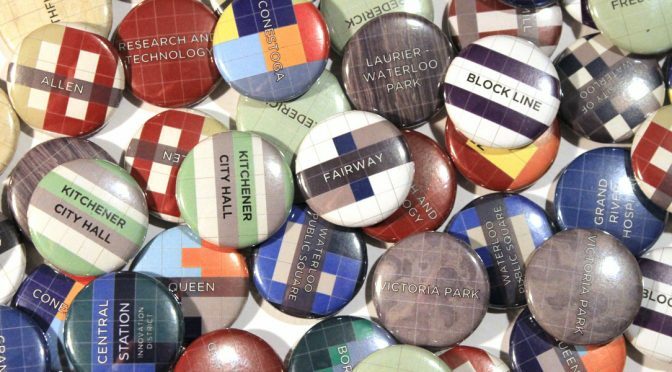 in debt for Waterloo region? Mythbusting the election: Candidates said it, but can they back it up?